One of the most dreaded stains on carpet has to be red wine. It sets quickly, and if not tended to immediately can prove a great adversary. 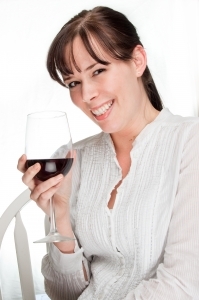 Cleaning red wine can be relatively easy, and there are several ways in which to remove the stain. Depending on whether the stain is still wet or if it has set can alter the treatment method. Natural products like peroxide, vinegar, and baking soda can be great stain removers. Red wine has also been removed with club soda and white wine. 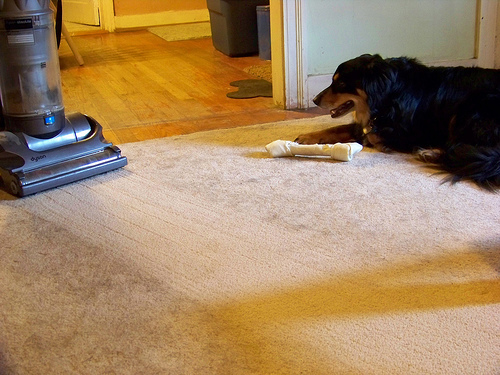 Other products can also be used, chemical products designed remove tough carpet stains can also prove useful. When a red wine stain first appears the most important thing to do is to blot up any and all wine possible. As soon as the stain has been identified it is important to remove all excess liquid first. It is also important to note that the stain should be blotted, not rubbed so that the liquid is not further ground into the carpet. After blotting, household products like hydrogen peroxide, white vinegar, and baking soda can be used to remove the remaining stain. When white vinegar and baking soda are combined they will fizz, creating a bubbly lifting effect on the stain. Peroxide can be diluted with water in order to apply over the stained area and then blot up with a towel. Some other effective methods of red wine stain removal are pouring white wine over the red to neutralize the red wine. Club soda can also be applied to a red wine stain. The sodium in the club soda helps to keep the red wine stain from setting in the carpet fibers. 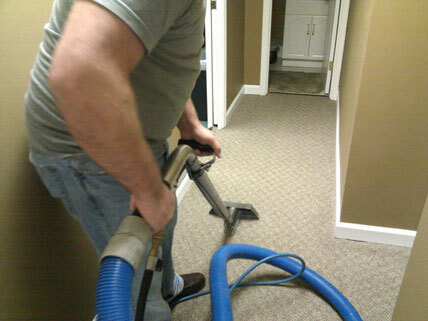 One last option is a commercial carpet cleaning spray. These products also claim to neutralize the red wine making it easy to blot up and remove forever. Red wine stains are no longer something that will just have to be covered and hidden. There are many tried and true methods to red wine stain removal. Author Carpet Cleaning PittsburghPosted on August 16, 2012 July 2, 2017 Categories Industry RelatedTags Carpet Cleaning, Dirty Carpets, Grape Juice, Grass, stains, WineLeave a comment on What are the most difficult carpet stains to clean?